Kirova Ballet Academy is proud to be a non-competitive school. We concentrate on raising complete human beings through art, giving them tools to succeed in life. Strength, stamina, perseverance. We do believe that competitions can be stressful and place importance of winning over learning. Yet, we have an award winning Hip Hop team. What gives? Here is our short story to glory. 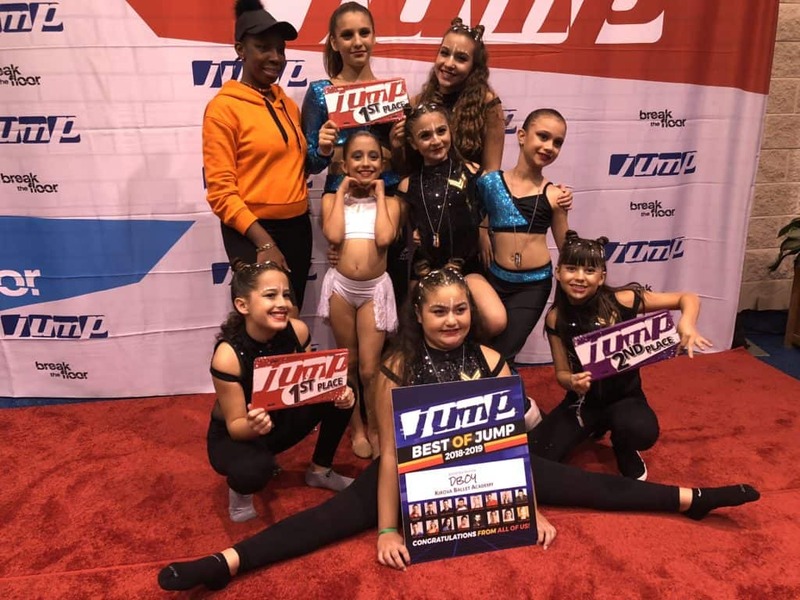 We started our Hip Hop competition team last year with just 4 dancers. It was simply out of joy and excitement, dancers wanted to experience something new (competition) and learn something new (choreography). We knew at that time, it wasn’t going to be intense, and we will do it only as long as it was fun and NOT the main focus of their day at the studio. Today, we have grown: we now have two teams – Hip Hop and technical. 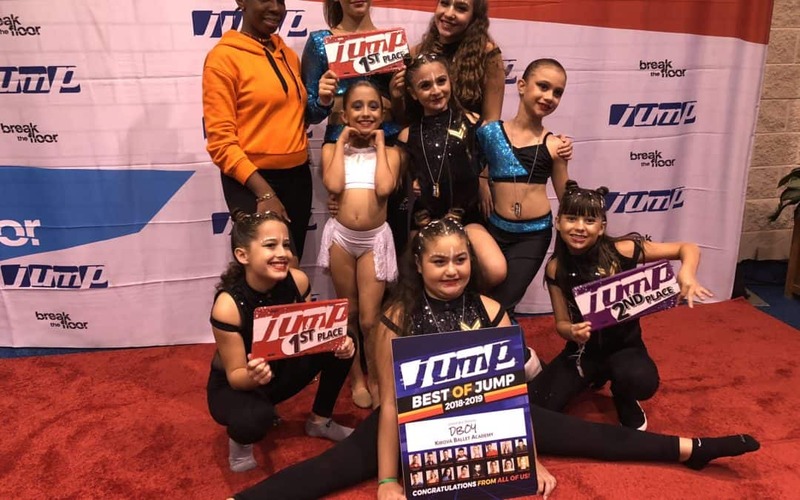 Our dancers train weekly, participate in at least 4 competitions and attend dance conventions. Learning is still #1, competing and winning, well, that is a bonus. There are so many positive things that came out of competition team, that we didn’t even consider. We were so concentrated on making sure competitiveness doesn’t take over their school spirit, that we didn’t even realized how it brought them closer together into a tight knit unit. School spirit was born. To be part of the competition team is to train together, party together, win together, loose together, grow together, even take trips together, share a pizza slice together. To be part of the team is not easy: it’s additional work, and a lot more time invested into dance. It is additional money, and a lot of it. It requires parent involvement in fundraising, costumes, make up, moral support. 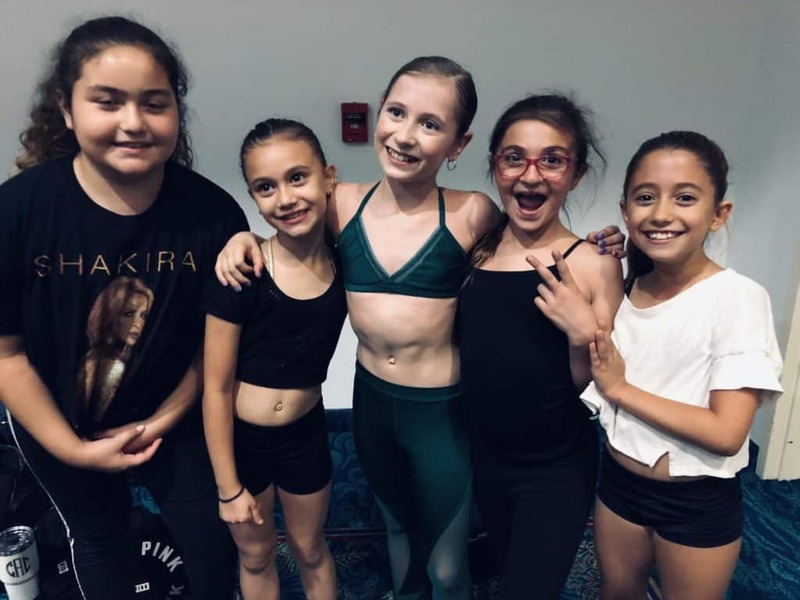 All that hard work pays off when you hear them squealing at the convention, running back to you overjoyed for taking picture with Elliana Walmsley of Dance Moms. As our team grew, we added jazz, contemporary, ballet performances to the list of dance genres showcased. Next year, we will add acro, lyrical, and folklore. Got my eye on that most versatile studio award! Want to see what the competitions are all about? Join and support the team at UBC in Miramar and YAGP in New York in February, Groove in Davie and IDC IBC in St. Petersburg in March, Nuvo in Miami Beach and 247 in Orlando in May. And of course Dance Awards in July, Orlando. It’s going to be a fun filled 2019 Spring for Team Kirova.